Do you have an interest in art and creativity? Do you enjoy making? Would you like to learn how to use your creativity to help other people? On this course, students develop their own artistic and creative skills, and then learn how they can use their creativity to help others. The course features a blend of practical, hands-on subjects in drawing, design and 3D making, as well as the skills of organising and helping other people or groups to work creatively. The following QQI modules are used to deliver a course in which students learn to use a wide variety of materials, and then how to apply their artistic skills and knowledge to assist others with engaging in creative activities. Working with people who may benefit from using creativity to improve their health and well-being. 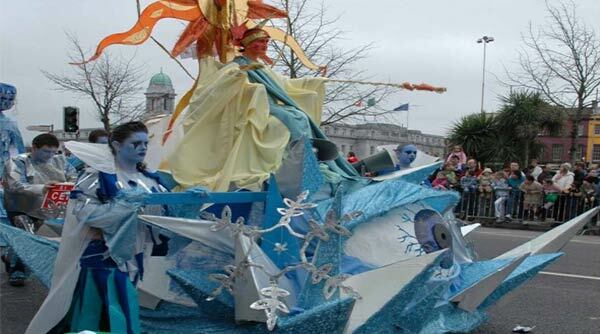 Working with groups to create props, costumes, puppets and floats for parades and festivals. Working on creative projects with disadvantaged or marginalised groups to build their confidence or their sense of belonging. Working with school groups to enhance their art education.